HUR SmartZone is a complete, stylish training center suitable for all fitness levels. It provides a full body workout in no more than 30 minutes. The on screen guidance includes exercise technique videos which helps beginners get started quickly and safely while more advanced customers benefit from automatic programme updates to maintain results and motivation. Staff input is reduces by enabling instructors to monitor and manage more members. Colour touch screens with animated exercise displays provide additional motivation and help beginners to ease into the exercises. Training programs are updated automatically to match the goals and subsequent development of the customers, making the task of the instructor much easier. 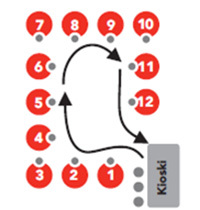 HUR SmartZone training is based on a single circuit with a single set of repetitions on each machine - in numerical order. This rotation is good for both customers and business. It takes no more than 30 minutes and with the right resistance, optimal rest levels and repetitions the workout is extremely effective. HUR SmartTouch software is an important part of the SmartZone system. The system is very user-friendly and its advanced automation makes both following and monitoring a training program remarkably easy. The rotation proceeds from one machine to the next in a precise order with a single set per machine This means no queuing at the machines and a single set per machine has been proven by studies to be effective and complies with current physical activity and public health recommendations. Staff registers new users in the system and creates their personal training program. 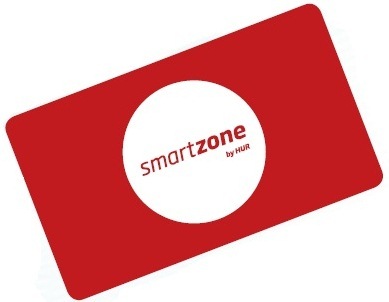 The customer is given a user ID and password for the SmartZone kiosk. Customers log in at the kiosk before beginning their workout and select their training program, which starts at machine number one. 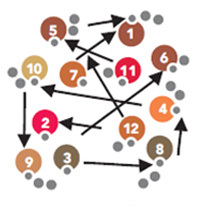 All exercise programs follow the numerical order of the machines to ease throughput. Resistance and repetitions are set automatically; animated instructions are available if required. When the workout is complete the customer signs out at the kiosk. Performance monitoring reports are provided and programs updated automatically when target levels are reached.